New fighting erupted early Sunday between forces loyal to Libya’s UN-backed unity government and those of a rival administration for control of key eastern oil ports. 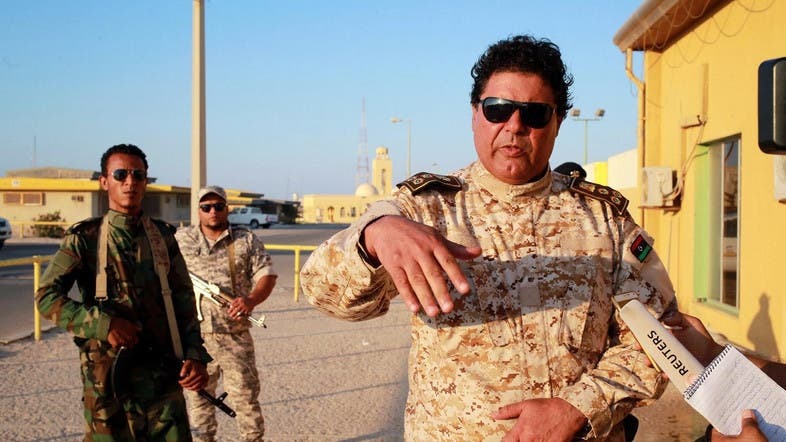 “The Petroleum Facilities Guard (PFG) launched an offensive this morning and (our forces) are fighting them in Ras Lanuf,” said Mohamad Ibset, spokesman for the rival force commanded by controversial Field Marshal Khalifa Haftar which seized the four oil ports last week. The PFG, which is loyal to the unity government based in Tripoli, said it had launched counterattacks on two of the oil ports. “We attacked Al-Sidra and Ras Lanuf, and Haftar’s forces are trying to hit us with their warplanes,” spokesman Ali al-Hassi told AFP. The loss of the ports was a blow to the Government of National Accord (GNA), which relies on oil revenues and has struggled to assert its authority since setting up base in the capital in March. Haftar, who sees himself as Libya’s saviour after driving jihadists out of most of the country’s second city, Benghazi, is the most powerful backer of the rival administration in the east. It announced on Wednesday that it would hand control of exports from the four ports to Libya’s National Oil Company, albeit under the supervision of Haftar’s forces. NOC chairman Mustafa Sanalla said on Thursday that exports would resume immediately at two of the ports, one of them Ras Lanuf. The US special envoy for Libya, Jonathan Winer, warned that resumed oil exports would only be acceptable if the proceeds were paid into the Libyan central bank in Tripoli. “If oil were to be diverted... the US will seek to enforce UN Security Council resolutions,” Winer told AFP in an interview on Wednesday. The fighting between the forces of the rival governments is the latest escalation of the turmoil that has gripped Libya since the 2011 overthrow of longtime dictator Muammar Qaddafi.. The GNA is the centerpiece of UN efforts to restore stability and forge a central authority capable of tackling the twin scourges of a significant Islamic State group presence and rampant people trafficking across the Mediterranean to Europe.